While many people relax on July 5th, recovering after Independence Day festivities, getting back to the regular work routine and cleaning up others spend the day searching desperately for their lost pets — dogs and cats who, frightened by July 4 fireworks displays escaped the yard, climbed out a window, or squeezed through the back door in horror and panic. Staff members and volunteers at animal shelters all across the country are also prepping for July 5, the busiest day of the year for animal shelters nationwide. Humboldt County Animal Shelter Supervisor Sergeant Kym Thompson tells the Times-Standard that she and her staff are expecting this July 5 to be as busy as previous years. “Each year on the fourth and fifth, we get slammed with reports of missing animals, or lost animals coming in that were spooked by the fireworks,” Sgt. Thompson explains. In Kern County, California, Kern County Animal Control Spokesperson Maggie Kalar knows to expect an influx of lost animals into the shelter come the morning of the 5th. Calls to the Enid Society for the Prevention of Cruelty to Animals in Enid, Oklahoma are expected to increase by 40 percent on the morning of July 5, according to the shelter’s Executive Director, Vickie Grantz. Meanwhile in the Chicagoland area, Linda Estrada, Executive Director of the Animal Welfare League (AFL) in Chicago Ridge, tells the Southtown Star that on July 5ths past the AFL has been inundated with lost animals and animals who have been injured while trying to escape the startling noises created by fireworks. She says her organization has treated pets who have broken bones after falling from balconies or down flights of stairs, and animals who have been hit by cars just trying to get away from the scary sounds. “They hear all that noise and it’s dark and they panic and run,” Estrada says. 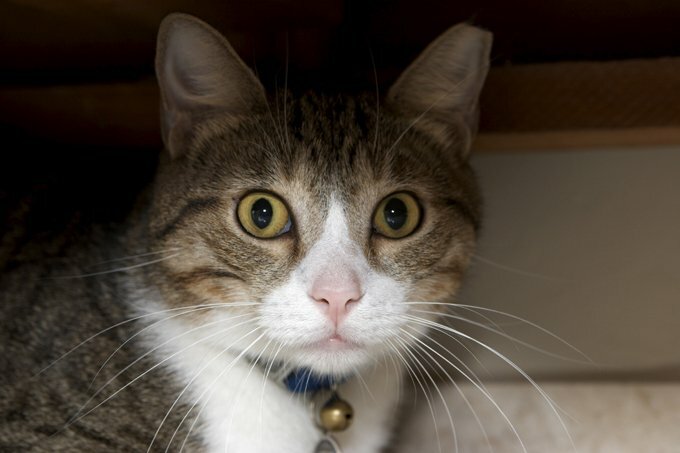 Not only can they cause direct and serious injury when animals try to attack or play with mortars, bottle rockets, sparklers, and other festive but dangerous explosives, but the loud and sudden noises they create can cause your cat to panic and bolt. The eve of July 4, while towns and backyard barbecues commemorate America’s birthday with fireworks displays, nervous pets don’t hear celebrations — they hear a warzone. But don’t fret — there are several preventative measures you can take to make sure your beloved fur kids don’t become part of the statistics this holiday weekend and on the 4th as well. Be sure when you’re enjoying this weekend’s Independence Day festivities to leave the pets safely at home, inside a cool home and behind secure doors. Try playing music on a radio or leaving the television on to drown out the noise outside. 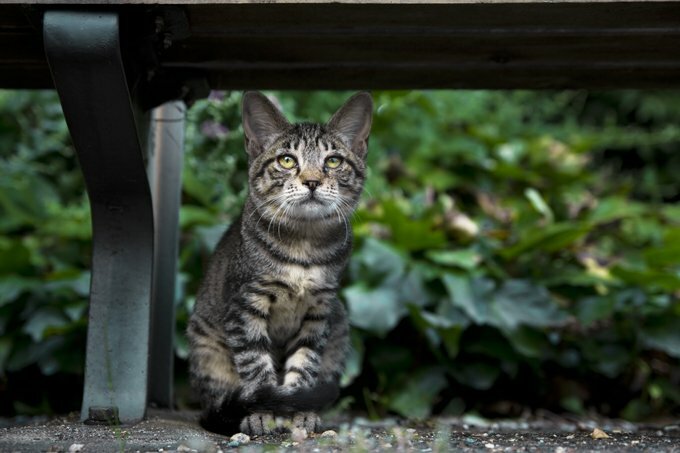 Do not leave your cat outdoors, even if your cat is use to living outside most of the time — frightened cats, startled by the loud pops and bangs of fireworks and firecrackers, are more likely to run as fast and far as they can to try to escape the noise. Perhaps most importantly, before you head off to parties and patriotic parades this holiday weekend, make sure your cat has a microchip and the information is up-to-date with your current contact information in the event that he or she does find some unknown way to get out and run away.